This dtc relates to the thermostat. This dtc is set when the engine coolant temperature (ect) does not reach 75°c (167°f) despite sufficient engine warm-up time having elapsed. 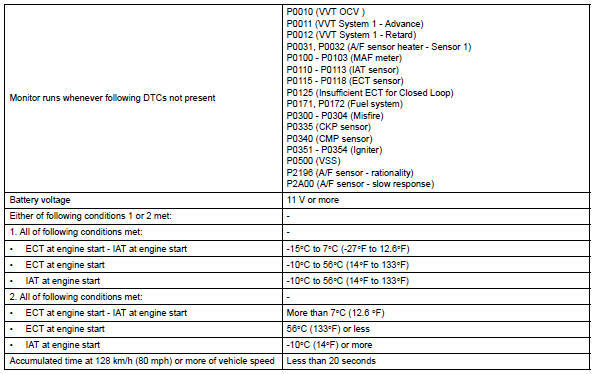 The ecm estimates the ect based on the starting temperature, engine loads, and engine speeds. The ecm then compares the estimated temperature with the actual ect. When the estimated ect reaches 75°c (167°f), the ecm checks the actual ect. 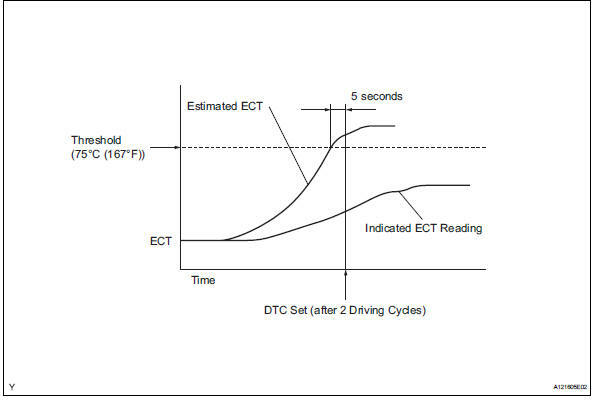 If the actual ect is less than 75°c (167°f), the ecm interprets this as a malfunction in the thermostat or the engine cooling system and sets the dtc. If any dtcs other than p0128 are output, troubleshoot those dtcs first. Check for defects in the cooling system that might cause the system to be too cold, such as abnormal radiator fan operation or any modifications. Remove the thermostat (see page co-15). Measure the valve opening temperature of the thermostat. In addition to the above check, confirm that the valve is completely closed when the temperature is below the standard. Reinstall the thermostat (see page co-15).